The relationship between marketing and journalism in the United States dates back to 1704. According to Ad Age, the first newspaper advertisement was an announcement seeking a buyer for an Oyster Bay, Long Island estate, which was published in the Boston News-Letter. Since then publishers had a wall between editorial and advertising to avoid confusion among readers. As the barrier of entry in online publishing has fallen, the lines between the two have blurred. There has also been a resurgence of “yellow journalism” and worse yet, “fake news.” This disruption in the marketplace has shown why marketing needs credible journalism. The era of fake news has given marketers pause. As Jim Cramer of CNBC said, “Special K can’t run an ad next to KKK.” The risk of any brand showing up beside content that can hurt its reputation is a legitimate concern. While marketers wrestle with new standards from publishers regarding autoplay and pop-up ads, they want more transparency in return. Determining where an ad is placed is fundamental to marketers and critical to brands. The state of U.S. politics has only served to muddy the waters with daily tweets from President Trump that anything he perceives as contrary to his agenda is fake news. While some of it, by his own admission, is hyperbole, fake news has become a broader epidemic. According to Christi Eubanks of Gartner for Marketers, fake news generated more total engagements in the 2016 election cycle than the 19 major news organizations combined. Which begs the question, how do readers separate fact from fiction? Alerts such as the Op-Ed, opinions posted opposite editorial, have disappeared while the blending of native advertising with editorial has become prevalent. All the while nefarious third parties have been manipulating stories for their own gains, creating disorder among readers, journalists and marketers alike. While politics have brought fake news to the forefront, it’s marketers that have moved publishers and platforms to take action. Facebook has taken steps to allow logos to appear next to articles in its news feed to help attribute the source. It has also put in measures to preserve the integrity of original posts by not allowing third parties to make changes to original content and republish it as authentic. As Facebook’s massive revenue is derived from marketing budgets, its CEO and founder has a lot to lose if marketers and readers distrust his platform. On the same day as Zuckerberg’s post, Ad Age reported, Bloomberg Stresses Brand Safety to the First Advertisers for Its Twitter News Network. The article reads, “With the rise of fake news, bot saboteurs and a Twitter-fueled political environment, many brands are wary of inserting themselves into its particular breed of conversation.” To combat this, the Twitter and Bloomberg partnership will emphasize journalistic integrity. 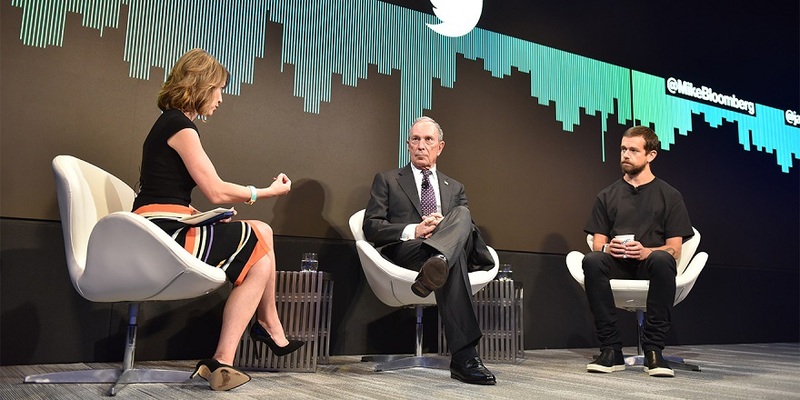 This has resulted in 50 new hires by Bloomberg for its channel including an editorial lead. Early results may support why marketing needs credible journalism. The Bloomberg channel has secured a reported $1.2 – $2.5 million in newsfronts and its views have increased fourfold from 3.2 million to 13.5 million in eight months. The relationship between marketing and journalism in the U.S. has endured 313 years. While publishing has become more democratic, the need for transparency has not eroded, rather it has reasserted its importance in a mutually beneficial relationship. Facebook and Twitter see the impact of fake news on marketers’ confidence and the value of editorial in restoring it. In this regard, the old has become new again.